energieheld ("energy hero") is growing faster than ever. February was record-breaking in terms of both the number of website visitors and the number of customer inquiries. energieheld have made it their aim to contribute to the energy transition by digitizing German craftsman businesses. This is why it is important that, having established ourselves in northern Germany, we expand our network across the whole of Germany. Based on an analysis, energieheld decided to continue expanding the company in North Rhine-Westphalia. The majority of inquiries sent in to energieheld in January and February 2016 came from the Dortmund region. We are already represented by over 20 partner craftsmen in this area. Due to high demand (and our potential analysis), we decided this region would be the ideal location for our next regional office. As stated in our financial projections, we opened the new energieheld branch office on 1 March in Dortmund. We are very much looking forward to accessing and expanding this highly interesting and (to us) new market. Thanks to the Companists' support, clients are now able to receive both face to face and competent consultancy, and the digitization of craftsman businesses in Germany continues to make progress. 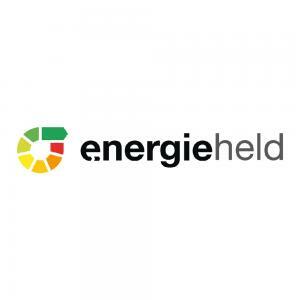 You have already invested over €185,000 in energieheld. This provided us with financial security, enabling us, as stated in the financial projection, to open an additional branch office. We have finished setting up the office in Dortmund and are already in the swing of things. Pierre Wirth has taken on the job as branch manager. This is an ideal scenario for energieheld. Until now, Pierre had been working as a customer counselor in the branch office in Bremen. This means he knows all about energieheld and how the internal processes work. Pierre doesn't only specialize in all things energieheld, but is also an expert in accessing new regions. He was jointly responsible for the opening of the branch office in Bremen and is now providing us with his expert knowledge. As if that wasn't enough, Pierre used to work as a craftsman and spent many years working in cavity wall insulation. Things couldn't be better. "After spending a bit more than a year in Bremen, I am now moving on to Dortmund, highly motivated and looking forward to new challenges. I have already been in charge of a few projects in the Dortmund region whilst working in Bremen. Now I finally have the chance to work with clients and specialist partners face to face and represent energieheld on site. Being able to combine your private life with your work life and to be happy in both is something that everyone wishes for. And with my partner living in Dortmund and the new office being opened there too, all my dreams are coming true at once!" energieheld is currently looking for another customer counselor to satisfy high demand. We look forward to hearing your recommendations. Your investments will enable us to digitize craftsman businesses in Germany and then in Austria and Switzerland.